UPDATE: Due to the ghoulish Halloween festivities and game six of the World Series, we will be postponing this meeting until further notice. We hope everyone has a wonderful night. No matter what the costume, don’t forget your Dodger blue! This entry was posted in All News, Events and tagged Javier Gonzales, LAYWC, Los Angeles Young Workers Committee on October 23, 2017 by admin. 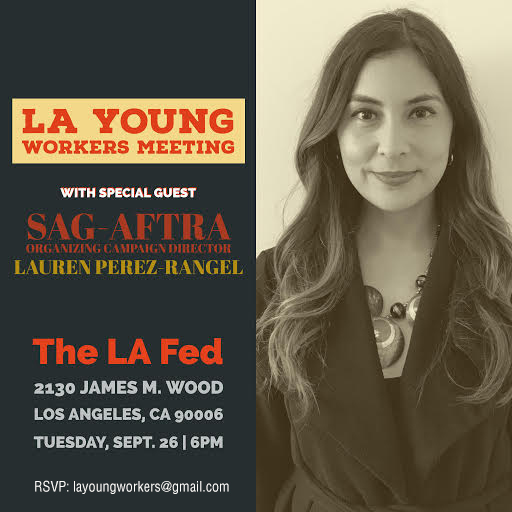 Please join us next week to hear from Lauren Perez-Rangel, Organizing Campaign Director for the Screen Actors Guild-American Federation of Television Artists (SAG-AFTRA) as she speaks to us about her success in organizing for the labor movement. Open to young workers 40 and under and young workers at heart. 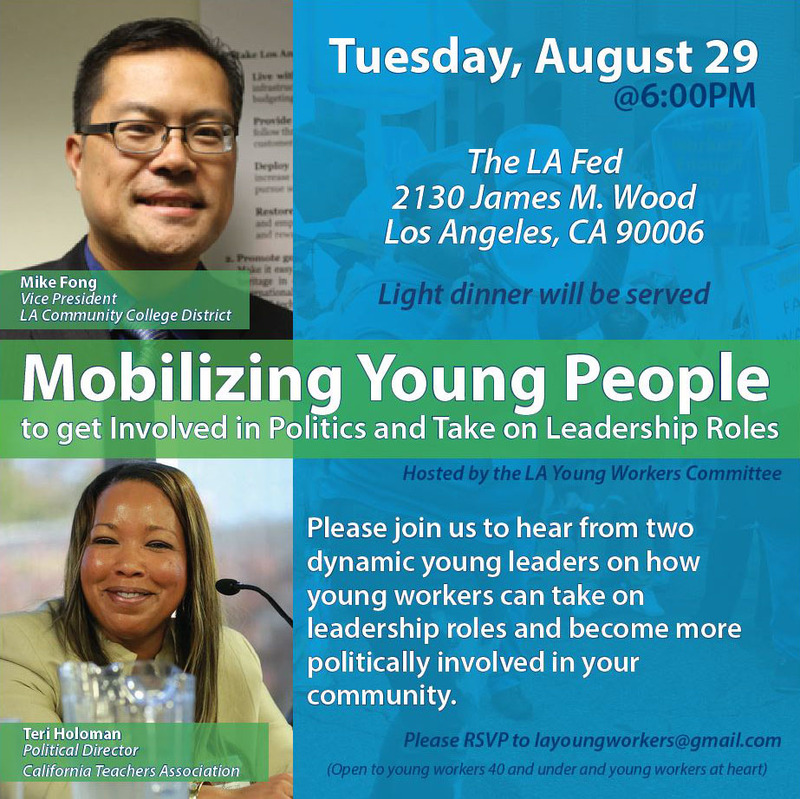 RSVP to layoungworkers@gmail.com. This entry was posted in Events and tagged LAYWC, Los Angeles Young Workers Committee on September 19, 2017 by admin. Please join us to hear from two dynamic young leaders on how young workers can take on leadership roles and become more politically involved in your community. Open to young workers 40 and under and young workers at heart. There is no cost to attend, and a light dinner will be served. 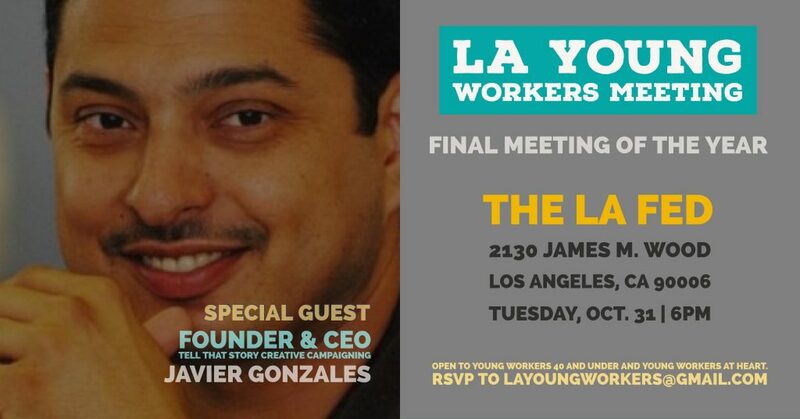 RSVP to layoungworkers@gmail.com. This entry was posted in All News, Events and tagged LA County Fed, LAYWC, Los Angeles Young Workers Committee on August 23, 2017 by admin.